Crocktober is in full swing, and you guys have been loving the recipes. I am so excited! 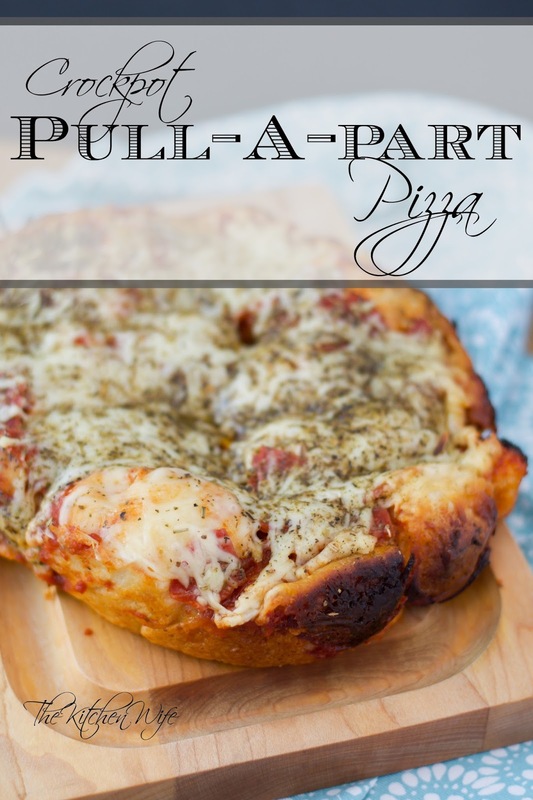 Today's recipe is probably one of Studhubs and I's favorites, Crockpot Pull-A-Part Pizza. That's right, I said PIZZA! To begin you will need to cut each biscuit into 4 pieces. This next step is not crucial, but I will be using these Reynolds Kitchens Slow Cooker Liners. They have totally changed my slower cooker game. One step that IS nessecary is spraying your crockpot with some sort of cooking spray. Trust me, you want this pizza to come out in one piece and if you fail to spray the crock, it is just going to be a sticky mess. After that you will place the pieces of biscuit dough all along the bottom of your crockpot. Then you will spread the sauce over the dough and place the pepperoni on top of that. Sprinkle the cheese over the top of the pizza. Sprinkle the Italian seasoning over top of everything. Place the lid on your crockpot and set the temperature to HIGH for 2 hours. If you are wondering what crockpot I am using, I am using the Crock-Pot 6.5-Quart, Programmable Touchscreen Slow Cooker. This is BY FAR the best crockpot I have ever owned. After 2 hours your pizza is ready to go! Look at that golden and crispy crust. Aside from making clean up a breeze, the liner also helps get the pizza up out of your crockpot easily. 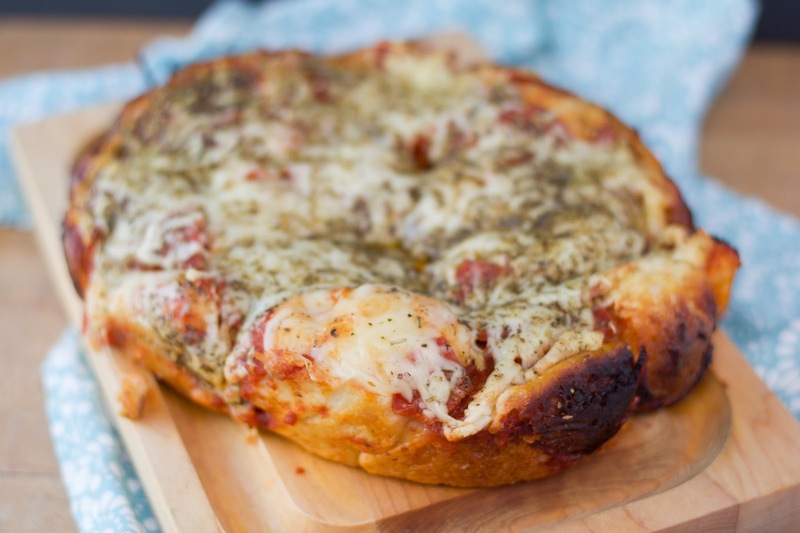 And there you have it folks, Crockpot Pull-A-Part Pizza! The crust is golden and crisp on the outside, but the center is soft and chewy. A perfect pizza! Place the pieces of biscuit dough in the bottom of the crockpot. Spread the sauce over the pieces of dough, then top with the pepperoni. Sprinkle the cheese over everything and add the Italian seasoning. Cover the crockpot and set the temperature to HIGH for 2 hours. Remove from the crockpot, serve, and enjoy! 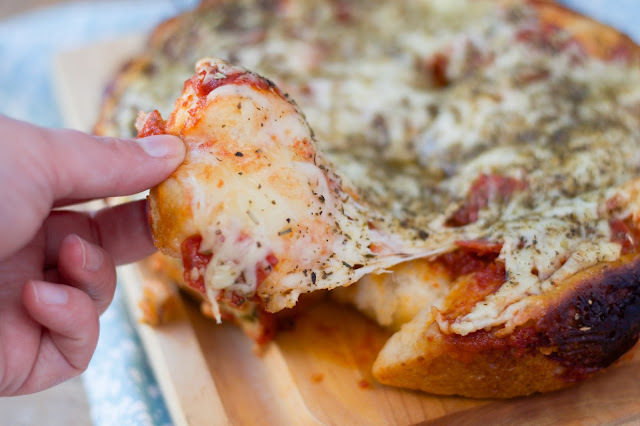 This looks so yummy - loving all the cheese! Going to try it! YAY! I can't wait to hear what you think. It is so easy!